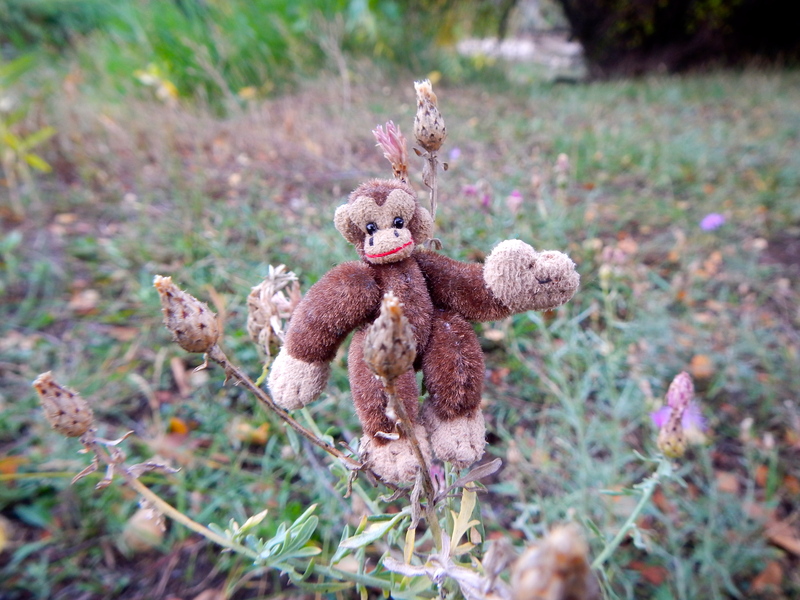 There is fun to be had in the simplest things, and Monkey knows how to catch himself some. He can grab onto a thistle – (careful not to snare a thorny bit!) and pull himself up and onto the perfect seat for a ride. He’s got a good view and good rhythm too, as the wind bounces him energetically, like the old time dime mechanical horse rides in front of grocery stores, back in the day. Thank you my friend! I decided to have a little fun today!